Once you put the pie in the oven, lower the heat to 325F and bake for 40 – 50 minutes or until the top is a lovely brown. Mmmmm………. Let cool completely inside the oven. Don’t worry, it won’t dry out. Previous Post: « Jimmie’s Sugar Cookies and a Great Giveaway! I’ve never had chess pie, but it looks amazing. I guess it’s a southern thing?? I’ll have to try it, though!! I’d be more than happy to lend one (or a few, depending how many you need) recipes to your cookbook idea!! Thank you! We’ll see if it gets some traction. It may not, but I just had to try. Yes, I believe Chess Pie is a southern thing. There are all kinds, lemon, chocolate, coconut….tons! But I’m a purist – I just like plain. Ok, just let me know! I’m gonna try to make ur Nana’s chess pie tomorrow! And I say God Bless You for what you are attempting with the cookbook! I am currently in school to be a social worker, and you inspire me to reach out and give back more! Thank You! You know photos that simplify the process are near and dear to my heart! Count me in! This is an ambitious and fabulous idea and I’d be happy to help any way I can. Love this pie! 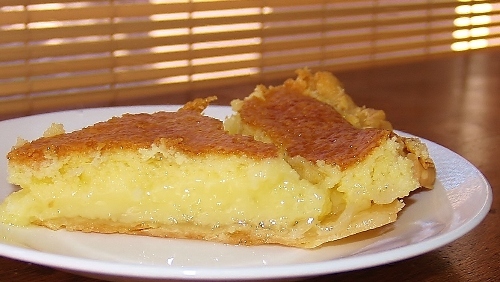 Baked custard in a crust! Thank you!! I knew I could count on you!! Of course I’m in 🙂 Not sure exactly what you’re looking for, but would ask you to head over to http://www.deliziousfood.com/ I am a recipe editor by trade and so could certainly lend that skill. And sharing recipes, too. Great! Thank you so much – will connect! 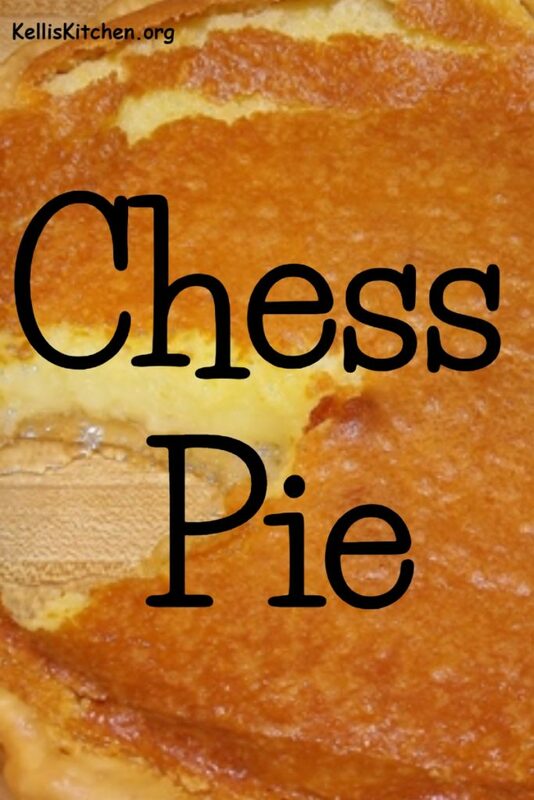 Hmmmm….never tried Chess Pie, but it looks delicious! I’ve heard of chess pie but never tasted nor made one. This one, cheese, is one that I surely want to make. Good luck with this project. I will take a look around and gladly donate any recipes that are appropriate. Thank you! 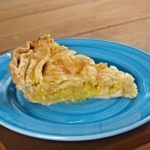 And you will love the Chess Pie – it’s the cornmeal that rises to the top and browns………It’s so good, I could just swim around in it for a while ! 🙂 And thank you for considering the project. I would be happy to help with the cookbook. You gave a lot of information that I didn’t know about food stamps. 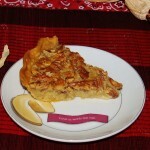 I made a Chess pie very similar to this for Sunday dinner this week, except it was lemon. It’s a great pie and easy to make. I’ve heard of chess pie but have never had it. It looks so amazing though that I guess I’ll have to break down and make it one of these days. 🙂 As for your project, I’m not sure what I can do to help but I am certainly willing. Food costs are such an issue in New York because the cost of living here is astronomical. Yes, salaries are higher than in Oklahoma, I’m sure, but not to the percentage difference of the living cost. Trying to eat healthy, as we do, is even more challenging. I can pick up a box of generic mac & cheese (calories but little nutritional value) at a drug store for less than $2.00 but a head of cauliflower or broccoli costs $5.00. Outrageous! OMG! $5!?! Man, that’s astronomical. Seriously Anita. Is that at the farmer’s market? Since we live in an agrarian state if we go to a small town, we can get cauliflower or broccoli for $1 per head but here in Norman they can be as much as $3, but $5? I would have a cow, especially since my family used to get the plants for 50 cents and just cut the heads off the top for free after that! Thank you so much for agreeing to help out – I spoke with one of my friends today at the USDA (she is now the director of Civil Rights) but she jumped right on board and is taking it to the Chief later this week – Yay! When you make this pie, do you include the cornmeal? It looks a lot like eff custard pie which is one of my favorites! I can probably help with at least one recipe for your cookbook after I get back home. We are off to Tarpon Springs in just a few minutes! Yes, I do – it makes the top brown because it rises to the top. It’s kind of like a custard only ….richer I think. I hope you are having a fabulous time on your vaca! Thank you – I know you will have a fantastic recipe to contribute! Sorry, it looks like egg custard pie, not eff custard. I should dbl ck my spelling before I post!! You son is brilliant! He thinks like me! 🙂 Hahahaha! I’ve actually never had chess pie before *gasp*. It looks like something I’d be all over though – custard in pie dough? Yes please! 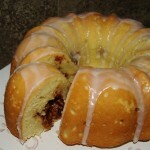 As for your cookbook idea, I wish I were a better chef than a baker. I hope you do give updates on the response of other bloggers and whether you’ll be putting this together. I’d like to help in any way I can – this is such an important issue! Thank you so much Nancy! This is the greatest pie – I’m not a good chef OR baker! 🙂 I’m just learning to cook and I was able to get it made pretty well – Hope you’ll try it and if you do, let me know! I spoke with one of my friends at the USDA-FNS today and she is so excited about the entire concept so she will speak to the Chief later this week I will continue to post and I appreciate your interest! Thank you also for dropping by! I grew up in a community where almost everyone got commodity cheese. 🙂 I remember it almost being a treat. 🙂 I’ve noticed that our FM is doing a matching system with SNAP—I love it! I would love to help in whatever capacity I can with your idea. 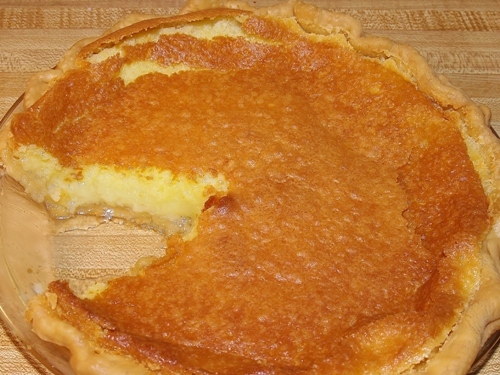 Never knew what chess pie was but it sure looks yummy. Sound like a great program. Thank you for caring for others. Count me in for helping out anyway I can too. You are a sweetheart – thank you so much! Our church has a food pantry that gives out bags of food twice a month. People line up on food day and wait hours until all the bags are gone. Those bags are filled with canned veggies and beans, pasta, ramen, crackers and cereal: certainly not cornerstones of a healthy meal. It’s a shame but the food pantry does the best it can with what it’s given. I just read another blog this morning talking about buying healthy food staples for a week on a tight budget and how unlikely anyone truly in that position is likely to purchase food like that over cheap, prepackaged foods, and I had to agree. I love the idea of your cookbook, and I especially agree that pictures are a huge factor for me when deciding whether or not I want to try a new recipe. I would love to contribute, and hopefully you’re great idea will inspire people to become more educated about food and budgeting and eating healthy. Oh, and btw, you did it again 🙂 I clicked on a picture and it brought me to you and I said, Oh snap! Oh you crack me up! Thank you so much for being willing to participate – sometimes people are afraid that the situation will rub off on them and want to stay as far away as possible – thanks for being willing to dive in head first! Your church is brave for continuing to have the food pantry. I’m not unaware that some people are dangerous to have in your pantry and become demanding. Bless you and the church mission! Thank on both counts! If you like pie, I hope you will try this one, I surely think it’s tops! I just found your blog today from over at Ten Things Farm via Farm Girl Friday (originally from The Prudent Homemaker). If you do not follow The Prudent Homemaker, I think a visit is in order. She has the most frugal recipes around!!!!! I’m sure that some of those could be used for your cookbook (with her permission, of course)! Count me in! I’m not a great photographer or writer, but I’m pretty sure I could lend a hand! Just let me know what you need and I’m there! Looking forward to getting more familiar with your blog! Thank you so much Holley! I’m so glad you found the blog and I will be sure to visit The Prudent Homemaker – do you have a blog? I would like to visit it if you do! Thanks, but I don’t. I just enjoy the reading part, not the writing part! Shhhhhh, don’t tell my children!!!! I will! Thank you so much – you know how government is though – takes a long time to get approval to do anything!! Thank you so much for dropping by! 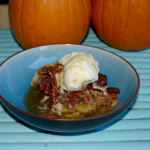 I love pie as well and as I said, this ooey gooey version is my favorite! Please come back again!